Rick Perry is the latest false prophet for many Republicans and they want to stop Mitt Romney at any cost. They think Chris Christie is the answer -- but he's not. Ironically, if New Jersey governor Christie gets into the race he may well ensure Perry's nomination. Perry polls weakest against Obama and is the GOP worst nightmare. Christie is a blue state governor who is moderate and centrist, certainly compared to the red meat right of his party. On issues such as immigration, gun control, the environment, Christie is far more moderate than the average Republican primary voter. In that respect the attacks on him will come form the right and his support will come from the middle where Romney currently resides. So Christie will be supported by the same pool that Romney is seeking votes from. In that eventuality, it would make Perry the big winner if Christie runs. Perry pretty much has the hard right to himself now that Michele Bachmann has imploded. 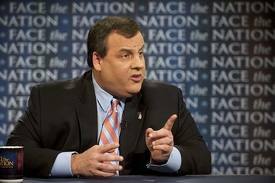 The pressure is mounting on Christie as Perry fades and makes mistakes. He should be careful however, every candidate is perfect in the media's eyes until he or she gets in then they are savagely dissected. But few self respecting politicians can resist the siren call of the national stage and it will make it hard for Christie these next few weeks as Republicans seek their latest savior. As a general election candidate Christie would almost certainly be the strongest against Obama but that means little to primary voters. The net effect if he enters will be to increase Perry's chances. Which is why the White House is desperately hoping that Christie does jump in.